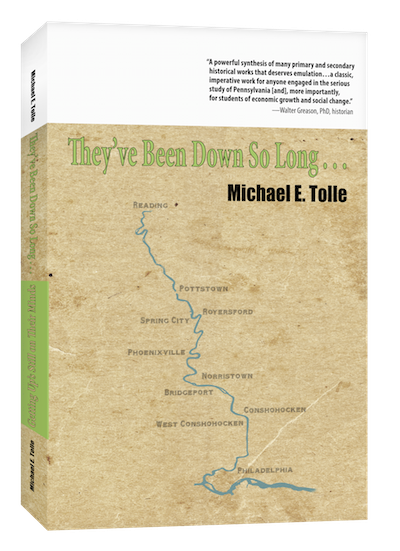 This is the third of my series of posts to focus on immigration and ethnicity in America, as viewed through my subject towns on Pennsylvania’s lower Schuylkill River. I began with a discussion of the post-WW I nativist reaction that was generated, in substantial part, by fear of the large numbers of “un-American” immigrants from southern Europe, i.e., Italy. Last time I began to examine the potential similarities between the two movements. This post continues that examination, but as the national situation looms in the background of all current immigration conversations, I must add an update. My previous post, published just before our national election, contained the following sentence: “Whether Congress produces the 21st century version of its previous regressive and racist policy, or pursues a different course, remains to be seen.” Things still remain to be seen, but it appears that the chances of the former being reenacted have substantially increased. Still, we remain in that limbo of which I spoke. Conclusions are premature, because to learn more about what is really happening. Last time I identified the broad, but likely coincidental, trans-century time frame for both immigration periods. Using conveniently available on-line data for the period between 2000 and 2013, it was also clear that that the smaller towns have accepted not just fewer Hispanics, but fewer by percentage, as was the case during the previous period of immigration. So far, so good, but this latter judgment requires some further explanation, as the data on town population and immigrant percentages demonstrated. West Conshohocken, arguably the borough with the highest home values, is also by some margin the smallest river town, and should thus be the most resistant to Hispanic immigrants. Between 2000 and 2013, however, West Conshohocken experienced the third highest percentage increase of Hispanic population among the eight towns on the lower Schuylkill. Conshohocken across the river is much larger, and is doing at least equally well, but has experienced a smaller percentage increase in Hispanics. And what about Phoenixville? It is doing quite well, yet during the 2000 – 2013 survey period, Phoenixville had the highest increase in Hispanic residents, by either percentage or number, of any town not named Norristown. 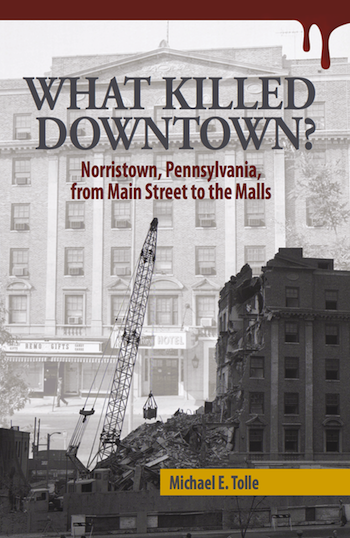 Another interesting point of similarity between then and now involves Pottstown. Pottstown, although the second oldest borough on the lower Schuylkill (1815), did not see any substantial number of immigrant settlers arrive until decades later. Its population remained largely homogenous—Protestants, largely of German descent—until the late 1800s. Today, it seems that a similar process is taking place. Between 2000 and 2013 Pottstown experienced the smallest percentage increase in Hispanics of the eight towns. Pottstown’s depressed property values should serve as a considerable draw, but they don’t. Why does Pottstown, despite its larger population and lower living costs, have so few Hispanics? Regardless of the above preliminary theses (or, more correctly, questions), the major message the data sends us is that discussion of the differences in the Hispanic population between seven of the eight towns is basically just quibbling. West Conshohocken’s jump in Hispanic population between 2000 and 2013 added just 45 people to its population. Even Phoenixville, with the second largest population and the second largest increase in Hispanic residents, had less than 900 Hispanic residents in 2013. The real numbers are in Norristown, and that is so far the biggest similarity between Italians then and Hispanics now. The dramatic difference between the Hispanic population of Norristown and of all the other river towns is actually quite reminiscent of how things played out just before and after the beginning of the 20th century. Back then, by far the largest number of Italian immigrants to the lower Schuylkill settled in Norristown, with what was effectively a spillover into Bridgeport. The other river towns gained Italian communities of varying size, but that of Norristown dominated in every statistical category. This being “the good old days,” the municipal government, real estate agents and local landlords were able to conspire and place the new arrivals in the dirtiest, least developed (and served) part of the town, the East End. This ghettoization of Italians was practiced for over half a century. As late as 1950, there was still an unwritten rule that Italians could not live west of DeKalb Street or north of Fornance Street. The Italian-dominated eastern end of town never received the attention other parts (mainly the north) received, as Italians continued to suffer discrimination. Despite the fact that the Humane Fire Company—one of Norristown’s earliest—was located in the eastern part of town, no Italians were allowed to join. The concentrated Italian population did eventually grant them considerable voting power within what was then Borough Council, although its prime beneficiaries (Paul Santangelo dominant among them) did little to advance Norristown. It was a long, hard struggle, but the Italians overcame, and the evidence of that is everywhere. Norristown’s Christopher Columbus Monument was financed by the Italian community, out of ethnic pride and because, by the second half of the 20th century, any list of the area’s financial, business and political elite was crowded with Italian surnames. Throw in the sports and entertainment figures, and the reputation of Norristown Italians has spread far and wide. Perhaps the most fascinating thing about the migration of Italians to Norristown is that as many as 90 to 95% percent of them came from the same village, Sciacca, in Sicily. This was an example of what scholars refer to as “chain migration,” whereby the first to arrive send back such glowing reports that others follow, and continue to do so. It represents a continuation of the old localism in a new environment; those Italians who settled just outside Norristown, in Plymouth Township, came from a different area, on the Italian mainland. Might Hispanics be doing the same thing? Where do they come from? We don’t know at this point, because there are a lot of things we don’t know about this new wave of immigrants. The issue of “legality” ensures that much goes unsaid, at least to official ears. We do know a great deal about Italians in Norristown; they have appeared in more than one Ph.D. dissertation. Mind you, I am not criticizing the current state of scholarship, because those studies and Ph.D. dissertations were written almost a half century after the peak of the Italian immigration period. I can’t but think how significant comparable studies of the Hispanic migration might prove. And here’s the real kicker: there may be a lot more Hispanics in Norristown than anyone realizes. My analysis during the previous posts has been based on the population figures of a group of websites designed to sell homes in these towns. I think that ensures the most accurate information available, but just how accurate is it? Using those figures, the 2013 Hispanic population of Norristown was listed at 26.3% of 35,407 residents. That’s 9,312 people (discounting the partial person). The website updates those numbers to 2014, and lists the Hispanic population at 9,128, a small drop. But an article about Norristown earlier this year quoted a Municipal Councilman as saying that there may be as many as 12,000 to 15,000 additional people living in town. If so, they are uncounted by anyone, and not in the figures we have been using, or anyone else’s, for that matter. Even if they are not all Hispanics (as many might quickly assume), there could be twice as many Hispanics in Norristown as the unofficial estimates count. This is the crux of the problem. We just don’t know enough about the local reality in Norristown—or anywhere else—to make rational, long-range plans. Actions at the national level will ultimately determine the overall shape of any “answer to the problem,” but that just leaves local municipalities in the lurch until then. In the meantime, however, given that Hispanics now constitute at least one-third of Norristown’s population, regardless of what figures you use, one thing should be clear: Norristown’s revival must include Hispanics as a basic building block. They are essential. 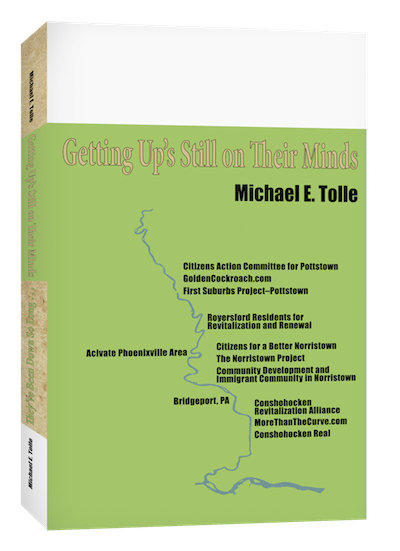 I have begun a series of posts on ethnic change in America, as viewed through my eight subject cities on Pennsylvania’s lower Schuylkill River. Last month I wrote about the unpleasant national reaction to immigrants—primarily Italians—after the First World War, when our government attempted to structure the racial and ethnic makeup of the nation to favor the descendants of northern and western European immigrants. My point was how immigrants judged too far from the mainstream—primarily, but by no means exclusively, Italians—generated a regressive and nativist reaction that swept through Congress. Today, a similar pattern is discernable, and there is support for an even more sweeping resolution of “the immigration problem” than was contained in the Acts of the 1920s. This time the xenophobia is directed against Hispanics, with Italians not missing from those who feel this way. This is the overarching story, and we are still in the middle of the second part, but there are other interesting parallels. This time I pick up the national thread, and then compare the two periods of increased immigration in the lower Schuylkill valley, looking for what is different, and for what is much the same. After almost closing the door to immigrants, America spent the next few decades learning to celebrate not so much its immigrant past but the concept of “assimilation,” i.e., the melding together of disparate ethnic strains into something called “an American.” This took place largely during the mid-20th century, that period to which we look back with so much longing (I’m talking about after WWII, of course). This was “The American Half-Century,” when we dominated the world’s economy. We prospered by making things and selling them to other countries, recording the greatest period of economic progress in our nation’s history. What is underappreciated is that this period was actually an outlier in American history. There were no waves of immigrants arriving on our shores. They came, certainly, but not in anywhere like the numbers of before, and they tended to be better off, both in education and wealth. But by the last decades of the century, things had changed again. A new immigrant wave began to draw notice, this time not by people who arrived by ship, but those who walked. As the half-century began to draw to a close, one of the signs of its closure was renewed concern about immigration. This concern was manifest among “white America.” Fortunately, “white” by that time largely included Italians. Seizing the opportunity, these descendants of immigrants joined in turning the weapons and the phrases once used against themselves towards the new arrivals, Hispanics. That’s pretty much where we are today. It’s a limbo of sorts, as the ultimate question of “legality” remains to be settled. Whether Congress produces the 21st century version of its previous regressive and racist policy, or pursues a different course, remains to be seen. In the meanwhile, what can we, while in the midst of this new wave of immigrants, learn from the previous wave? So much has changed; can the two really be compared? Hispanics have settled in the lower Schuylkill valley; data about how many and where they settled provide some interesting comparisons of this current wave to the previous one. We are trying to read numbers, but which ones to use, and from what source? We are slightly more than halfway between national Censuses, which makes our official numbers—as of 2010—somewhat out of date. Websites offer more recent data, but its veracity should remain suspect, at all times. Keeping that in mind, I did some online research on the racial and ethnic makeup of the river towns. I employed city-data.com for this. It is one of several companies that market information to prospective home buyers. I chose it largely because it offers structurally identical sites on each of the river towns. It is thus likely that these different sites employ the same methodology in acquiring and presenting their data. This eliminates any conscious (or unconscious) effort on my part to manipulate the data by comparing different methodologies. I can thus use this data for comparison purposes. I otherwise make no claims as to its accuracy. The data is offered in both raw numbers and percentages. This is important, because we are analyzing population change among towns of greatly varying population. Norristown’s 2013 population of 35,407 was more than twice as large as Phoenixville, and almost twenty-eight times as large as West Conshohocken. Its African-American population is almost twice the size of that of the other seven river towns combined. In such cases, percentages work better than totals for the larger picture, although the totals must be periodically inserted to keep things in perspective. City-data.com’s structure allows only comparison between 2000 and 2013. It would be nice to have more recent data than 2013, but using 2000 gives us thirteen years of perspective, so we’ll work with what has happened to the Hispanic presence in the river towns between 2000 and 2013. How does this new wave reflect previous waves of immigrants? How is it different? It’s much too early for a historian to draw conclusions to those questions, but not too early to offer some initial theses, points that deserve further study. I’m going to focus both on what has changed and what hasn’t. In the broadest sense, that of time, the comparison between Italians and Hispanics holds up. The great wave of Italians came during the last century of the 19th century and the first decade of the 20th. The great wave of Hispanics has—so far—spanned much the same transition period between the 20th and 21st centuries. During the 1970s, the illegal immigrant population of the U.S. was estimated to be 1.1 million. Illegal immigration during the 1980s more than doubled, rising to 1.3 million. That number jumped even further during the 1990s to almost 6 million, and during that decade Mexico became the largest national source. The numbers continued to rise during the 2000s, and Hispanics solidified their primary place among them after the post-9/11 reaction that tightened security of our air and sea borders. These are significant parallels in timing, but they are also quite likely coincidental. We should also not forget that Italians were but the latest major arrivals in a long period of substantial immigration while Hispanics largely stand alone in our current comparative period. History does not repeat itself; patterns do. The movement of Hispanics into the lower Schuylkill Valley is also demonstrating another characteristic in common with the Italians: the smaller towns are receiving not just fewer people, but fewer by percentage. When we are talking about immigrants who settled in towns, rather than those in agriculture, it is clear that the smallest towns offered the fewest opportunities to new immigrants, then and now. Opportunity here is defined as both economic—jobs available—and social—less community opposition. This means that along with fewer jobs, a town with a small population could offer more unified resistance to newcomers. The three smallest towns on the lower Schuylkill—West Conshohocken, Spring City and Royersford—largely resisted the many ethnicities of the 19th/20th century migration wave, and appear to be doing the same thing today. The 2013 population numbers online demonstrate that the smaller the town, the lower the percentage of Hispanics, but demonstrate something else also. To appreciate this, we must remember that the river towns break into two groups by population; the lower five and the upper three. In 2013, Conshohocken, with 7,780 people, was the most populous town of the lower five, but had less than half the population of the next most populous town, Phoenixville, which posted 16,440 in the same year. That’s a pretty slow percentage rise, until you get to Norristown. I will get get to Norristown in next month’s post. I’m going to close this time by pointing out another way in which the current influx of Hispanics follows traditional patterns. Conshohocken, despite having the largest population of the lower five, ranks second on the fewest-Hispanics scale. This is a current demonstration of one of the most traditional truths about immigrants: Throughout history, with very few exceptions, immigrants have arrived in their new lands with little money. If you are looking for where they settled, you can pretty much bet it wasn’t the richer part of town. Today’s version of that principle in the lower Schuylkill valley focuses on towns rather than neighborhoods, and no town among my subject eight is doing better than Conshohocken. Property values—and rents—are sky high. West Conshohocken comes close (particularly on a per-capita basis), adding to the reasons for its low percentage of Hispanics. In discussing the similarities between the arrival of the Italians and the Hispanics, Norristown deserves a post all its own. See you next month. Hispanics Are The New Italians. History Says That May Not Be A Good Thing. The towns on Pennsylvania’s lower Schuylkill River were built by successive waves of immigrants, and no group settled in greater numbers than the Italians. Today we celebrate their success in achieving the American Dream. We have largely forgotten that their arrival triggered a national reaction, an expression of America’s “other side,” a combination of racism and ethnocentricity. Today we are seeing a resurgence of that reactionary attitude, against the newest large wave of immigrants, Hispanics. In what can only be described as bitter irony, many of those hostile to these new people are themselves the proud descendants of the people that triggered that same reaction upon their arrival in this country. The 1920s saw a major turning point in U.S. immigration history, and Italian immigrants—and people’s opinions about them—were central to what happened. As busy as Ellis Island had been in the late 1800s, the early years of the 20th century saw an even greater surge of immigrants. Between 1905 and the outbreak of the First World War, some ten million people arrived on our shores. 1907 was the peak year, with over 1 million people arriving, primarily at New York. The migrations of the previous century had brought people different from our English forefathers to these shores, but these new 20th century immigrants even more different, too different for many people. Many of these were the people from southern Italy. This fact would have a lasting impact on the American view of race and ethnicity. The First World War brought this massive movement of people to a complete stop, of course. At war’s end, the number of desperate people in Europe who would have welcomed a chance to come to America was very much larger than it had been, and immigration began to rise again. America, however, was in a very different mood by the 1920s. Italians and the other “Industrial Immigrants” had arrived in a time of great economic expansion, when industries desperately sought new workers. By 1920, a postwar recession had people worrying about new immigrants taking away jobs. This was just one part of an era, America’s attempt to return to “normalcy.” The Progressive Era was an increasingly distant memory as America elected as president Warren Harding, a man whose sole qualification for the job was that he looked “presidential.” The early 1920s then saw a reexamination of several traditional American policies, with immigration prominent among them. The shameful result was the first attempt to structure America by race. By the 1920s, while every new ethnic group could claim to have faced discrimination, Italians were being viewed with the most suspicion. As best-selling author Bill Bryson, in his study of the Sacco and Vanzetti case, caught the mood of the time: “Wherever problems arose, Italians seemed to be at the heart of things. The widespread perception of Italians was that if they weren’t Fascists or Bolsheviks, they were anarchists or Communists, and if they weren’t those, they were involved in organized crime.” He quotes a New York Times article as saying that it was “perhaps hopeless to think of civilizing [Italians] or keeping them in order, except by the arm of the law.” A University of Wisconsin sociologist (in a statement quite evocative of today) insisted that the crime rate had fallen in Italy only “because all the criminals are here.” Such widespread allocation of blame had previously been reserved for Jews, and they continued to suffer from it, but the huge number of Italians made them far more obvious targets. This negative attitude against Italians was in no way unique; it actually followed the traditional American pattern. Americans have always rated their component peoples on a positive-to-negative scale. Ethnicity and Religion help to place the markers between peoples, but the prime determinant is skin color; the lighter you are the better. That’s why, by 1920, the huge numbers that had arrived from the south of Italy provoked such concern. A few tall, blonde Lombards were one thing, but boatloads of those dark, swarthy Sicilians were quite another. Congress decided to take action, and created The House Committee on Immigration and Naturalization to take a look at the situation. The Committee appointed as its expert advisor a man named Harry H. Laughlin, perhaps the most racially extreme supporter of what is politely known as “negative eugenics,” which in Laughlin’s case meant to “purify the breeding stock of the race at all costs.” He meant the Caucasian race, of course, rather narrowly defined. He offered to a rapt audience of Congressmen “evidence“ that ranked the comparative quality or degeneracy of various ethnic groups, and Italians did not fare well. Fortified by these “facts,” the Committee promptly wrote what became the Emergency Quota Act upon its passage in 1921. Note the word “Emergency”; Laughlin had done his work well. The Act was the first attempt to restrict immigration on a national basis (the West Coast had already been legislating against Chinese and Japanese immigrants). This was unprecedented, but the method was even more radical: restrict immigrants by nationality. Its overall purpose was clearly reactionary. The Act was the first attempt to freeze the components of the American people according to a selected numerical relationship among them. It restricted a country’s immigrants to 3% of the number of residents from that country living here in 1910. Under this formula, the countries of northern and western Europe were allowed considerably more new immigrants to the U.S.
With emergency measures taken, Congress took a longer look at the numbers and did not like what they saw. They took further action by passing the Immigration Act of 1924, which itself encompassed the National Origins Act and the Asian Exclusion Act. This Act lowered the percentage of a country’s citizens allowed into the U.S. to 2%, but more significantly, made this number according to the 1890 Census. This was a deliberate move against Italians (although not against them alone), most of whom had arrived after that year. It was also effective. Immigration from Italy during the early 1920s, already much lessened by the 1921 Act, was cut a further 90%. It is estimated that between 1900 and 1910, some 200,000 Italians immigrated the U.S. annually. Following the 1924 Act, that number dropped to about 4,000. Storing up trouble for the future, the Act also helped to plant the concept of “illegal immigrant” in the American mind. The Acts of the 1920s also contained some provisions—and one omission—that resonate today: it greatly restricted the immigration of Africans, and banned both Arabs and Asians outright. It did not, however, set any limits on immigrants from Latin America. These attempts to preserve the nation’s racial and ethnic balance effectively capped entry across our eastern and western borders but neglected our southern border. This provides a delicious irony to the subsequent history of immigration to our country in the 20th Century. This protection of our seacoasts worked pretty well, even though a more liberal approach crept in with the extensive reworking of the entire immigration quota system in 1954. That “maintain the existing ethnic balance” thing largely continued, if a great deal more subtly. Or so people thought. We managed to at least keep down the numbers that might have crossed the oceans, but not those who could walk. So now here we are, not quite one hundred years after our national attempt at maintaining a nation dominated by its residents from northern and western Europe, and it was all pretty much a waste of time. A new ethnicity—Hispanics—has arrived in large numbers, despite all the legislative and enforcement measures enacted to prevent just such a thing from happening. Oh, and Asians have developed a substantial presence also. This raises a question: could Hispanics today—and perceptions of them—be playing a role similar to that of the Italians back then? If so, then the irony of Italian-Americans being prominent in the voices being raised against this new immigrant group should be appreciated. This is a relevant question everywhere, but particularly relevant to the still-stagnant towns along the lower Schuylkill River, which need the type of stimulus historically provided by the successive waves of immigrants. The purpose of this essay was not to minimize the maltreatment suffered by other ethnicities during their entrance into American society, particularly Jews, for whom such a reception had long historical traditions. It is simply to point out that the recent immigration to the U.S. by Hispanics, primarily Mexicans—and the reaction to it—adheres broadly to a pattern we’ve seen before, at least so far. It’s the next step in that pattern that is disturbing, because it is so uncertain, and history might sort of repeat itself, because some people certainly are. That’s why I’m devoting this next series of posts to immigration, its past significance to the Schuylkill River towns and its important future. There are lessons to be learned here, so that history does not follow the same pattern it did back in the 1920s, when Italians were the newest—and most suspect—presence in our urban communities.